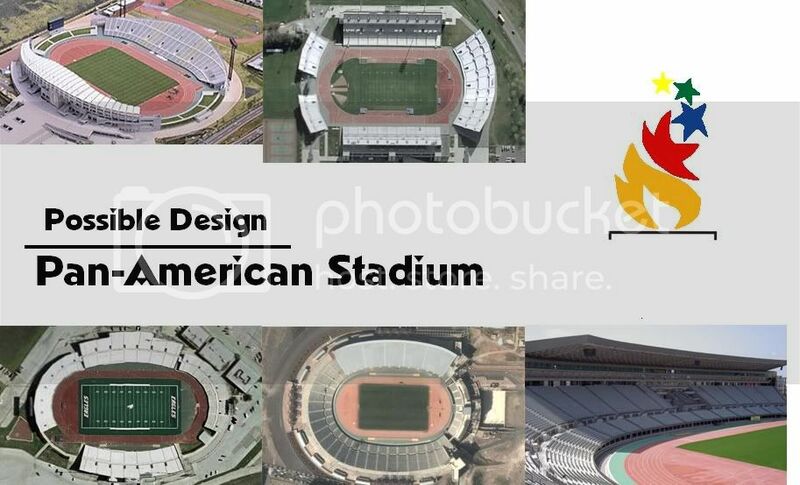 The city of Birmingham has transformed itself into a world class city, as athletes from both North and South America travel to Alabama for the Opening Cerimones at the renovated Legion Field. Neiborhoods and been renovated and the cities' population has rapidly increased. A new BJCC Mulit-Purpose Center has been built as well as expanded exhibition halls, and a renovated arena. The Railroad Preservation Park has been completed with several concert stages set up as well as major corporation tents. The new UAB On-Campus stadium is complete with a large track for athletics during the games. The new Birmingham rapid transit system is now finished and the new buses will be ready by the games start. Dozens of new sporting venues have been built, at least 8,000 hotel rooms have been built in the area for the games. The Birmingham International Airport has been expanded and renovated to be ready for the hundreds of thousands of visitors who are expected to visit. Overall, the popular image advertisement campaign, done by the B'ham Pan-Am Organizing Commitee has changed the city's and state's image. Are you ready America,....Because Birmingham is ready for the 2015 PAN-AMERICAN GAMES. All that above can be possiball. It just takes good leadership, and one really good leader. Atlanta had a good leader in 1996 with Billy Payne, Salt Lake City had a good leader with Ritt Romney in 2002. Birmigham needs one really good leader. More to come on venues and a logo, I'm working on it. Sorry, can't get the logo up right now, but I've been working on a list of venues. Tennis- Alabama's always needed a good tennis center, but where? I like you ideas and enthusiasm. It would a great thing for Birmingham to attempt to achieve. All we needs is STRONG LEADER. Thanks, can anyone help me on how to post images?, I've got a logo ready. I don't mean to rain on anyone's parade, but I just don't see it happening realistically for a VERY long time. Heck, even the bowl game this past Saturday made a bad impression to some. The Civil Rights Institute and the Alabama Sports Hall of Fame (some of the city's few tourist attractions) were closed even on Saturday. I realize it's close to Christmas, but it wasn't even Christmas Eve and there were 10,000-20,000 tourists in the city. I also heard that 5 Points was swamped with folks and many restaurants ran out of food. Not a good impression. Unfortunately, we just need much, much more infrastructure for that to even be a possibility. - A vibrant, large commercial/retail district somewhere downtown in addition to revitalizing and expanding 5 Points South. - Many, many more hotel rooms in the downtown area (particularly near the BJCC as well as 5 Points South). - A large casino complex would be an outstanding idea for near the Railroad Park area and someway incoporating it into that area. - A stronger, more efficient transit system. BIRMINGHAM IS IN NEED OF SOMETHING NEW!!!!. Now what that "something" is has yet to be determined. Is it a major sporting event? I believe so, even if it's just a BID to the Pan-Am Organization, its always a start. And besides, these post are not about what can or cannot be done by the poor leadership in our city or the possible wonderful leadership which has not yet been given a chance to govern; what these posts are about is the dream that our city can become. Imagine the greatness in a major sporting event for our city. It would be the biggest event for Birmingham since the discovery of iron in those massive mountains of stone which surround our city. In closing I ask everyone to speak in a positive tone by which someday our city may return to greatness that it once was. Tell what you want personally for the city and region. 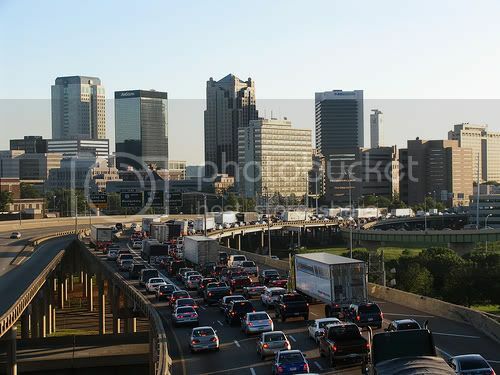 For example: Do you has a specific roadway that you wish could be turned into gateway for Birmingham and the region?, tell about in this forum. Do you know a specific sporting venue that you always thought the city needed?, tell about in this forum. Speak the Future, Tell the Future, Type the Future. "I'm a Ford not a Lincoln"
The Pan-Ams haven't been in the US since 1987, so i suggusest Birmingham, Alabama to host the next Pan-American games. Birmingham is the perfect host city for the Pan-Ams, not to big, not to small, and some really great scenery and people. I'd like to hear you're thoughts as I introduce you to Birmingham and the Pan-American Games. I've made a logo and I'm about to release a venue list. I'm sort of confused... is this sort of just your personal wish as to what happens? Or do you have any reason to even dream about this? Well, Birmingham is very well large enough and could do it, but it's mostly a fun thing I've been doing. Plus someone, a few years ago began talks about a olmypic bid, but that's just out of the question. Here's the venue list, if you have any questions or comments feel free to tell me. I've come of with the slogan of the Birmingham Pan-Am bid, it reflects Birmingham's nickname: The Magic City. Birmingham was named the magic city because of its massive population growth in the early 20th century. What Birmngham Needs Before Hosting The Games. -At least 15,000 more hotel rooms in Metro Birmingham, particulartly in downtown. -A major expansion of the city's convention center. -Some sort of mass transportation, and a overhaul of the bus system. -The completion of interstates I-22 and Northern Beltline. -Also an expansion of the airport with a new terminal and more gates. -Construction and recruitment of more and better hotels around airport. -Recruitment of at least 3 direct international flights to Birmingham International.Possibly to London, Toronto, and a Latin or South American city.